G.E. 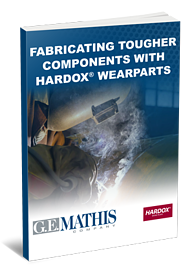 Mathis Company proudly stocks a variety of materials to fit every application, but our SSAB Hardox Wearparts are designed to withstand the harshest operating conditions. To see if Hardox Wearparts are right for your application, simply fill out the form to download your copy of the guide.